Since a large portion of marketing has transitioned from in-person to online, digital customer engagement is crucial for conducting successful campaigns. As a marketing professional, you need to stay up-to-date on the latest digital customer engagement trends. When marketers fail to utilize the newest tactics, they fall behind their competitors. As a result, they enable less sales and decrease ROI. Hence, a quality digital strategy is a non-negotiable element to any marketing team. 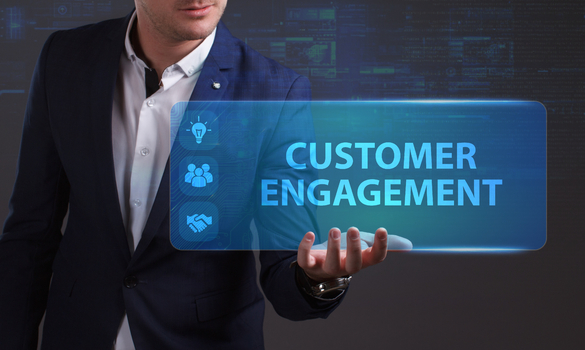 To keep both your employer and your target audience happy, read on and learn the digital customer engagement best practices to foster growth. Many marketing professionals view humanizing digital engagement as the most essential digital customer engagement practice. Consumers want to browse products and make purchases online. At the same time, they want to receive the same personal responses that they would if they were shopping in a store. Use chat bots to provide real-time assistance when consumers are browsing through your company’s products. Respond to comments on various platforms in a timely, conversational manner. Humanize digital engagement to improve your customer engagement online. Another digital customer engagement best practice to implement in your marketing strategy is interactive infotainment. Infotainment allows consumers to learn about your products or services without feeling like they are sitting through a documentary. In this way, infotainment keeps products and services fun and lively in the minds of consumers. Many marketers provide consumers with interactive infotainment through gamification campaigns. Create games that are both insightful and entertaining. Then, upload them to your site or various social media pages to engage customers digitally. Since you and your marketing team members are the ones engaging with customers digitally, you need to establish a listening center to improve your practices and foster growth. Designate a section of your office for a listening area. In this area, hold meetings where you and you team members can discuss what consumers are saying about your company. Through your marketing software, you can obtain data regarding customer reviews on your products and/or services. You can also gain insight into how well you are maintaining your online presence through customer engagement. Talk with one another about this data. Use it to generate new ideas for improving your engagement and overall online presence. As a result, you can constantly out-do your competitors with your digital customer engagement. Similarly, you can beat out competitors through in-product messaging. In-product messaging entails delivering product-related information directly to potential customers’ electronic devices. Since more and more consumers are shopping and browsing products on their smartphones, you can gain customers quickly with in-product messaging. More so, when you use in-product messaging as a tool, you target specific users. To ensure that you target the right users, use tools to turn your company into a lead generator machine. By reaching out to users who you know will be interested in what you are offering, you generate more engagement. For this reason, in-product messaging is one of the best digital customer engagement practices for marketing professionals. Lastly, use social media live tools to give your digital customer engagement strategy a boost. While social media engagement on its own is very advantageous for marketing purposes, live tools take it a step further. When marketers use Facebook’s Facebook Live tool, they respond directly to consumers in real-time. Consumers from all over the world can ask marketers questions while they are on Facebook Live. Thus, you can respond to consumers in the most personal way you can online. In the process, you will also gain new customers by showcasing your products or services. Use this feature along with other social media platforms’ features to increase your digital customer engagement organically. For example, you can use hashtag analytics tools to improve your hashtag implementation. If you combine popular, relevant hashtags with live tools, more consumers will view and engage with your digital posts. Businesses trying to grow need to implement digital customer engagement best practices into their marketing strategies. One of the best digital customer engagement practices is humanizing digital engagement so that consumers receive personal responses. Interactive infotainment is also advantageous because it allows consumers to engage and learn about products in fun ways. Establish a learning center to collectively think of new ways to improve your online engagement. Finally, use social media live tools to communicate with consumers in real-time. To foster growth, use these digital customer engagement best practices.